Clare M. Best, 94, of North Scranton, died Sunday at home after a lengthy illness. Her husband of 46 years, Robert Best, preceded her in death in 1990. Born in Westville, N.J., she was a daughter of the late James B. and Mary McGilligan Sloan. She was a former member of St. Vincent DePaul Church, until its closing, and later Mary, Mother of God Parish at Holy Rosary Church. A graduate of Princeton High School in New Jersey, she was a secretary for the Diocese of Scranton before retirement. 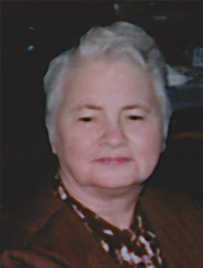 She is survived by a daughter, Betty Eschenburg and husband, Norm, Gettysburg; five sons, Robert and wife, Michelle, Spring Grove; Jack, Waymart; Jimmy and Jerry, both of Scranton; and Michael and wife, Debbie, Dunmore; 11 grandchildren, 19 great-grandchildren, four great-great-grandchildren; and numerous nieces and nephews. She was also preceded in death by a daughter, Janet Chesek; two sisters, Josephine Recke and Anna Sloan; three brothers, Robert, James and John Sloan; and a great-grandson. The family is deeply grateful to all of Clare's caregivers from Home Instead Senior Care and all of the nurses from Hospice of the Sacred Heart for their kindness and excellent care they provided for her. The funeral will be Friday with Mass of Christian Burial at 10 a.m. at Mary, Mother of God Parish at Holy Rosary Church, 316 William St. Interment will be private at the convenience of the family. Friends may call Thursday from 4 to 7 p.m. at Neil W. Regan Funeral Home Inc., 1900 Pittston Ave., Scranton. The family requests that those attending the mass on Friday please proceed directly to the church. In lieu of flowers, memorial contributions may be made to Hospice of the Sacred Heart, 600 Baltimore Drive #7, Wilkes-Barre, PA 18702 or at hospicesacredheart.org.